So you wanna build a robot which never hits anything; you’ve come to the right place ! It barely takes 15 minutes to do this ! 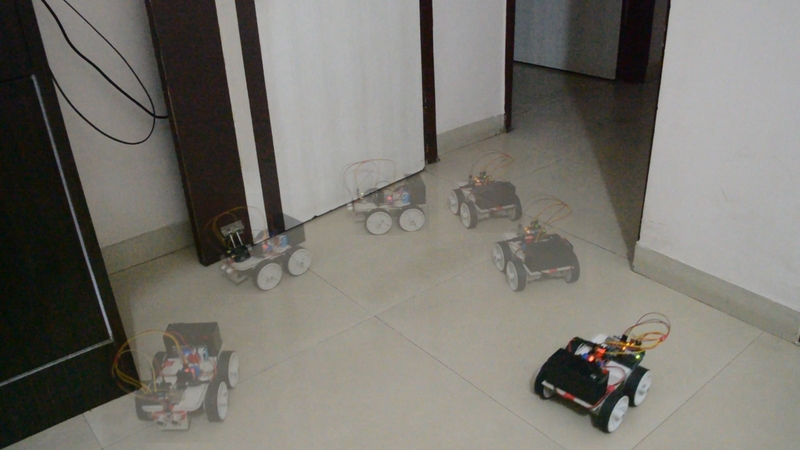 So without wasting our time let’s learn how to make an obstacle avoiding robot ! Chassis OR any toy car. If you haven’t used or experimented before with the ultrasonic sensor, I would suggest you to get familiar with it first ! I have a detail tutorial on ultrasonic sensor HC SR-04 which will guide you throughout ! VCC – VCC terminal of Arduino. GND – GND terminal of Arduino. Trigpin – digital pin 9 on Arduino. Echo pin – digital pin 10 on Arduino. +12V – Positive terminal of the battery. 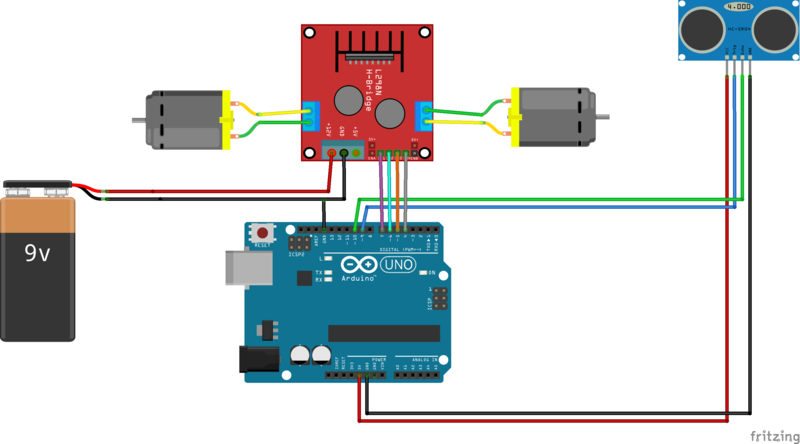 GND – a)GND of Arduino b)Negative terminal of battery. Output terminal 1 – Positive of first motor. Output terminal 2 – Negative of first motor. Output terminal 3 – Positive of second motor. Output terminal 4 – Negative of second motor. If the distance detected by the ultrasonic sensor is less than 25cm, then the bot will take a turn else, it will keep moving straight ! Simple… right ? Well, here is a video tutorial which will make your job more easy ! Hello, I was wondering what rpm your dc motors are at? Why my driver l298n not working even though i have given a 9v battery voltage? Hi Dika, please check the connections again or there is a minor chance that your module must have fried because of prior wrong connection!